The “Howling” franchise is an odd one. For those who hadn’t been keeping track, there are eight films in the series. Sure, none of the sequels are on the same level as Joe Dante’s 1981 original but at the same time, the follow-ups weren’t simply a rehash of the first film. No matter what your opinion of “Howling II” is, at least its’s original. Arriving on Blu-ray this week is the Australian-set, “Howling III” and it is one of the weirdest installments in the series. It is also the only sequel that I have a fondness for. 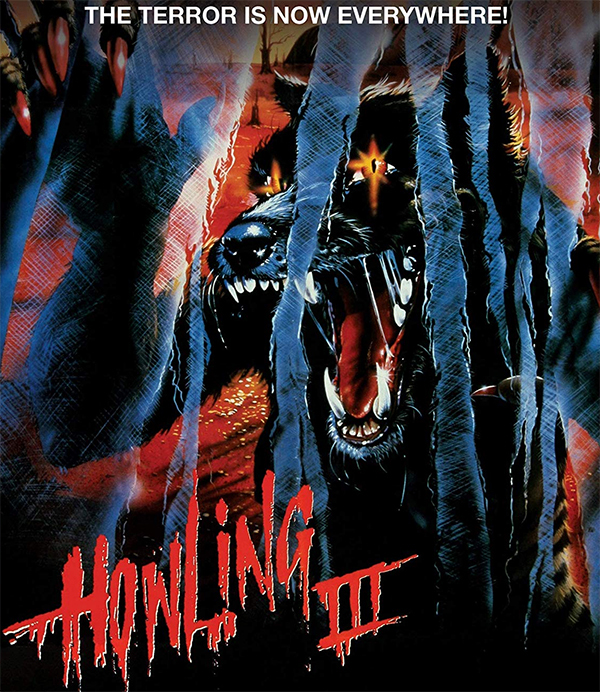 Originally titled, “Howling III: The Marsupials” in 1987, the story follows Jerboa (Imogen Annesley) a young woman who is part of a near-extinct marsupial werewolf species (with attributes like a Tasmanian Tiger). After fleeing from her abusive family, she encounters Donny, a young man who is working on a horror movie in Sydney. The moment Donny spots her, he knew she would be perfect for the film, and it doesn’t take long for the pair to fall in love. Donny’s love isn’t shaken at all when he finds out that Jerboa is a werewolf. He soon learns that the species are nothing like what the movies have taught him. Of course, there are humans out there that want to kill the marsupials so Donny, Jerboa and their recently born child head into the outback to hide from the coming threat. Director Philippe Mora (who also directed “Howling II”) seems to have trouble figuring out what kind of werewolf film he wants to make. Both films are a mess, but unlike “Howling II”, the third installment is at least somewhat fun and silly. The creature designs are truly awful but that ads to the film’s charm. One of my favorite moments is in the movie within the movie, as the two main characters sit in a theatre watching a werewolf film. It is so bizarre but awesome at the same time. This release from Shout! Factory includes a nice-looking transfer and a new interview with Philippe Mora. If you are a fan of “Howling III”, you may want to pick this one up.